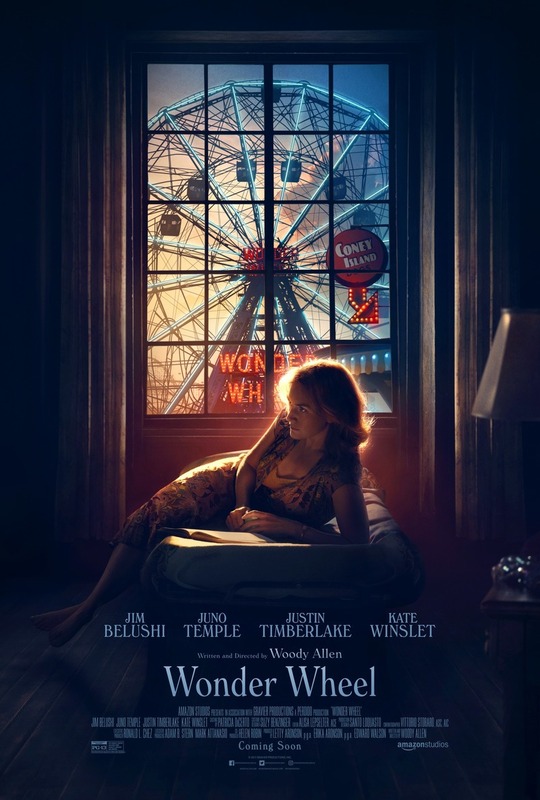 Wonder Wheel DVD and Blu-ray release date was set for March 6, 2018 and available on Digital HD from Amazon Video and iTunes on February 20, 2018. Told through the eyes of a lifeguard on Coney Island in the 1950's, "Wonder Wheel" is a bit of a coming of age story as a young man takes his first job among the whirlwind that is a 50's amusement park. He meets a young woman that tempts him with love and makes him think about what more he could be doing with his life. He meets gangsters, learns about love, and even more about the dangers of crime and infidelity between the carousel operator and his wife. This all results in conflict with far more dangerous people than carnies.